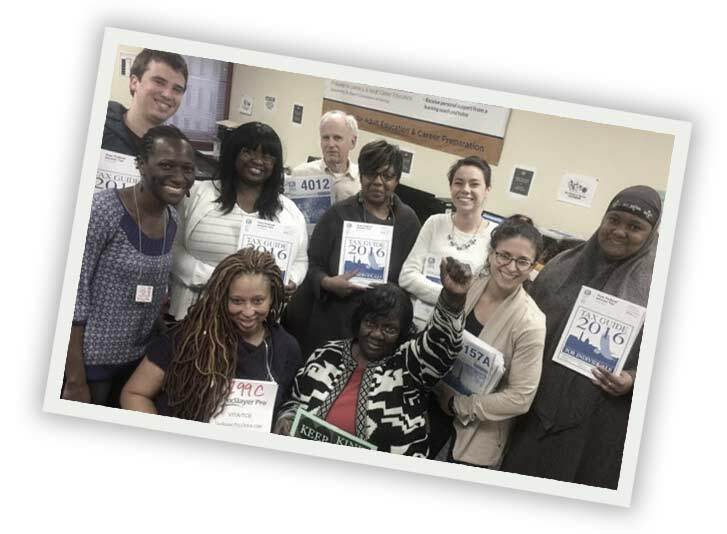 Job Opportunities | Campaign for Working Families Inc.
At the Campaign for Working Families, Inc. (CWFI), we seek to provide working families and individuals with opportunities to improve their economic status through our financial services. However, this wouldn’t be possible without the support and dedication of our Tax Site Teams and volunteers! We welcome you to learn more about the job opportunities available this tax season by clicking on the positions listed below. All seasonal consultants are paid on a 1099 (no fringe benefits). CWF has a few more contract positions to fill. If you are bilingual and have experience preparing federal income taxes and/or managing a tax site, please send your resume and cover letter to opsintern@cwfphilly.org. Day and evening hours available.